Peru’s minister for women has denounced the impunity that surrounds crimes of gender violence, which she says has placed the country among the world’s most dangerous places for women. “There are discretion and impunity in the justice system that makes it necessary to strengthen the entire system involved in a complaint, from the police officer to the judges,” the Minister for Women and Vulnerable Populations, Ana Maria Romero-Lozada, said in an interview with EFE over the weekend. “We don’t want to send a lot of people to jail, but if someone must go, then he should go. We have to apply the law as it’s written,” she added. The ministry issued a recent report that revealed a 26 percent surge in complaints about gender violence in the first four months of this year — a total of 2,415 — compared with the same period last year. According to Romero-Lozada, this figure ranks Peru as third in the world in its rate of gender-based violence, only behind Ethiopia and Bangladesh, as revealed in 2013 by the World Health Organization (WHO). 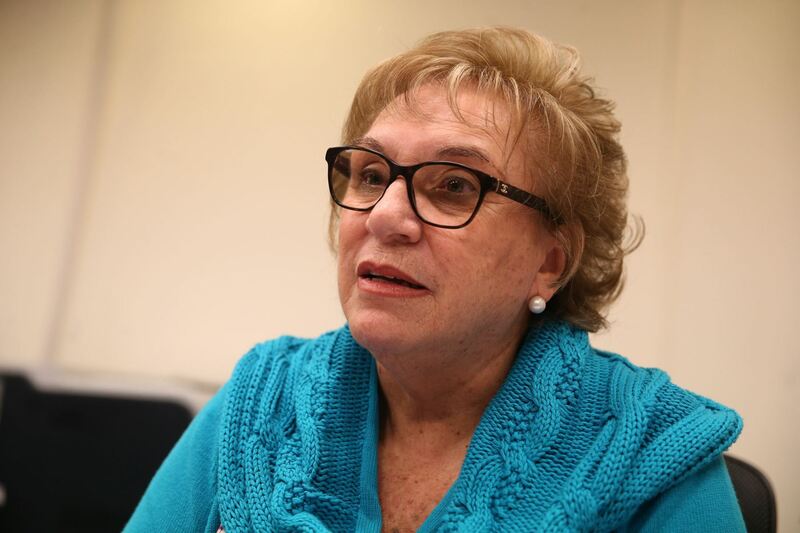 “I am sure that there has always been a high rate of sexual violence, but now women are complaining more, there is a greater awareness of abuses,” Romero-Lozada explained. According to the ministry’s report, three-quarters of women reporting psychological and/or physical assaults were minors. Authorities have also reported a 13 percent increase in gender-based killings, with 35 women killed during the four first months of 2017. The new report is merely the latest evidence that the Peru’s rate of gender-based violence is on the rise. Last year’s statistics were particularly dire; more than 50 cases of women murdered by their partners or ex-partners, according to ministry’s data from last year and authorities reported more than 100 cases of attempted gender-based killings. The women’s ministry had also released data indicating that seven out of 10 Peruvian women suffer physical or psychological abuse from their partners, and roughly a third of victims complain about their aggressors before the attacks. Last August, some 50,000 women’s rights advocates took to the streets in cities across Peru to more action from judges and officials on issues of gender-based violence. The protests followed similar demonstrations in Mexico, Bolivia, Colombia, Argentina and Brazil, which gained traction under the slogan #NiUnaMenos, which paraphrases the words of murdered Mexican activist and poet Susana Chavez Castillo: “Ni una mujer menos, ni una muerte más” (Not one woman less, not one more death). The following month, Peru’s Ministry for Women and Vulnerable Populations approved a national plan on gender-based violence. One aspect is the creation of National Observatory on Gender Violence, which is expected to combat impunity in the justice system by identifying laws that create obstacles to combatting gender-based crimes. Gender-based killings have become an epidemic in Latin America, which has seven out of the ten countries with the highest female murder rate in the world. El Salvador tops the list with a rate of 8.9 homicides per 100,000 women in 2012, followed by Colombia with 6.3, Guatemala with 6.2, Russia with 5.3 and Brazil with 4.8. Mexico and Suriname are also in the top 10. Gender-based violence has been found to not only leave physical and psychological scars but incurs direct costs in the form of medical expenses and legal services. Indirectly, families suffer when an earner is killed or is missing work because she is hurt, and any disruption of the role of women in the workplace also lessens their chances of reaching equal economic opportunities.